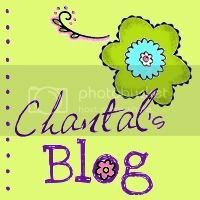 Chantal's Blog: I'm not scared! In other great news, I finally uploaded a bunch of photos to that digital photo frame I've had for over 2 years. It's sitting in the kitchen corner where I can see it from nearly every angle in the rooms I hang out in. I love seeing those pictures of Brandon, me, Dexter, Winston, and our families. It brings a smile to my face with every silly photo I put on there. Yay me. Good to find another military wife in Hawaii! I am a Navy wife and we live near the harbor (near that big 'ol NEX)!! I am looking forward to reading more of your blog! You can do it! You will surely kick this deployment right in the A$$!